The “deal of the century” is a farce. We suspected that, of course, but, upon his return from Washington, Israeli Prime Minister Benjamin Netanyahu revealed in more detail why the long-anticipated plan of the administration of President Trump has no basis in reality. Netanyahu told his cabinet that there are “no concrete details” to report on the U.S. peace plan. One has to suspect that the “plan” was, all along, the U.S. disavowal of the so-called peace process and the dropping of the “honest peace broker” act. In fact, that much has been achieved, especially with the U.S. decision last December to accept Israel’s illegal annexation of occupied East Jerusalem and agreement to move the U.S. Embassy from Tel Aviv to Jerusalem. Since then, Israel has initiated a clear strategy to annex the West Bank. Its top officials are contending that the “two-state solution” is not even deserving of a conversation. It is hard to imagine that, at the moment, Abbas is orbiting within a grand strategy of any kind. Random statements, attacks on his Palestinian rivals, the Israelis and the Americans — mostly for betraying him — is all that seems to keep his name in the news. “May God demolish his home” was one of the statements attributed to the Palestinian leader, in response to Trump’s decision regarding Jerusalem. Abbas feels beleaguered, disowned by Washington and a victim of an elaborate U.S.-Israeli plot that has cost Palestinians precious time and much land, while leaving Abbas with nothing but an embarrassing political legacy. Abbas is not necessarily angry because the U.S. has betrayed its role in the “peace process.” He is angry because he has, for years, perceived himself as a member in the American camp of “moderates” in the Middle East. Now, however, he matters not. The U.S. government is notorious for betraying its allies. The U.S., now run by the most pro-Israel administration in years, has no role for Abbas to play. They renounced him, just like that, and carried on to imagine a “solution” in Palestine that only serves the interests of Israel. 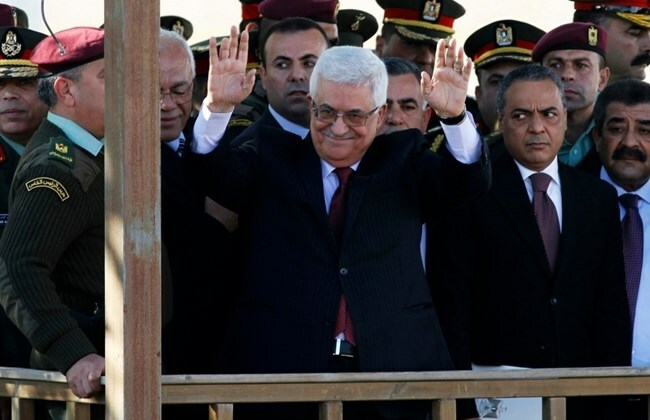 Abbas’ popularity — and that of his Authority — among Palestinians is negligible. In fact, 70 percent of Palestinians want him to step down immediately. That was according to a poll conducted last December. Yet, at 83 and suffering from ill health, Abbas is still holding on tightly to his chair. What “national consensus government” is Abbas referring to, anyway? There have been no general elections since Hamas won the parliamentary majority in 2006. Abbas himself rules on an expired mandate. As of January 9, 2009, Abbas lost his democratic legitimacy. Oddly, it is the conflict between him and Hamas that is allowing both sides to impose themselves on the Palestinian public — which is left disenchanted, practically leaderless and facing the brunt of occupation and apartheid on its own. Instead of mending fences with the Palestinian people, Abbas continues with his political one-man show, encouraged by his enablers in the PA, who are equally responsible for the havoc wreaked by the U.S. and Israeli governments. Still, the Palestinian leadership (whether in the PA or the PLO) continues with its desperate attempts to resuscitate the “peace process”, lonely warriors in a political illusion that has been abandoned even by its own masters. For Abbas and the PA, participating in the U.S.-led project was the last bridge they wished not to burn. Trump’s decision to relocate his country’s embassy signaled that the last bridge was, indeed, up in flames, but Abbas is yet to be convinced of this obvious reality. 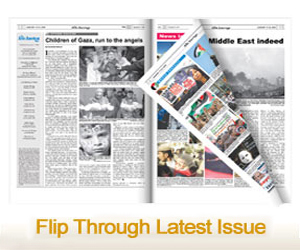 From American and Israeli viewpoints, the “peace process” could be considered a success. It allowed the U.S. to define the political agenda in the Middle East and for Israel to shape the physical reality of the occupied territories in any way it found suitable. The Palestinian leadership has emerged as the biggest loser. It first sat at the “negotiation table” to talk of borders, refugees, water, territories and Jerusalem, only to be left with nothing at the end.